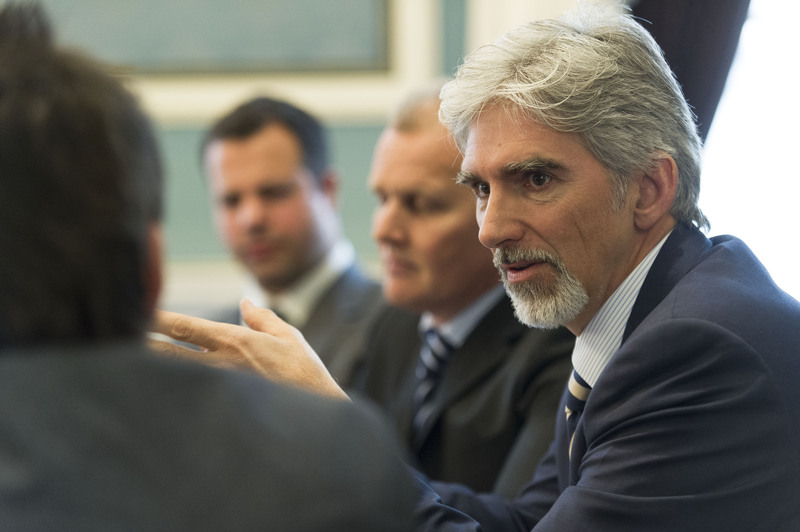 Damon Hill talks money and F1. Former Williams ace and Sky Sports F1 analyst Damon Hill has warned that financial uncertainties may even be putting pressure on some of Formula One’s bigger players. However Hill, who won his sole title with the Grove-based team in 1996, also reasons the financial oddities add to the peculiar nature of the sport. Since his retirement from Formula One at the end of the 1999, Hill has watched as the spending within the sport has spiral upward. Huge costs have led to the withdrawl of manufacturer teams Toyota, Honda and BMW in the last decade, while the likes of Jaguar sold to Red Bull and Genii Capital assumed Renault. Numerous privateer teams also pulled out of the category or sold their entries, including the lacklustre HRT, who disappeared at the end of last season. As the reality of the ongoing economic recession weighs down upon once dominant markets, even the larger marques are feeling the pinch despite Formula One’s success as a global enterprise. Hill’s father Graham – himself a double world champion with BRM and Lotus – ran his own Formula One team from 1973 until his death in a plane crash in November 1975. Since then, the scope of the sport has changed dramatically leading to some of the bigger players spending absurd amounts in the chase for victory. As sponsorship proves more difficult to come by, financial pressures are beginning to take their toll with several teams taking on drivers with backing or connections in order to stay afloat. The clearest example of this occurred at the Marussia team in recent weeks, when the team dropped the experienced Timo Glock in favour of GP2 Series graduate Luiz Razia. However a prominent backer of the Brazilian driver failed to materialise, forcing the Anglo-Russian squad to recruit Jules Bianchi – a Formula Renault 3.5 driver, heavily associated with Ferrari. Only two weeks before what would have been his Grand Prix début, Razia’s Formula One career looks to be over – a story which has not reflected well upon the sport.